Thanksgiving is tomorrow, yahoo! If you're like me, you may already be cooking or you may be prepping to spend hours in the kitchen fixing up the most beautiful bird anyone has ever seen. You're gearing up to hang with family and friends and to eat your weight in turkey, dressing, mac and cheese, and pumpkin pie. While you're going to make a dent in the amount of food made, you're bound to have leftovers to last you for weeks. Most importantly, you're going to have a turkey carcass just chilling in your fridge (DON'T THROW IT OUT!) 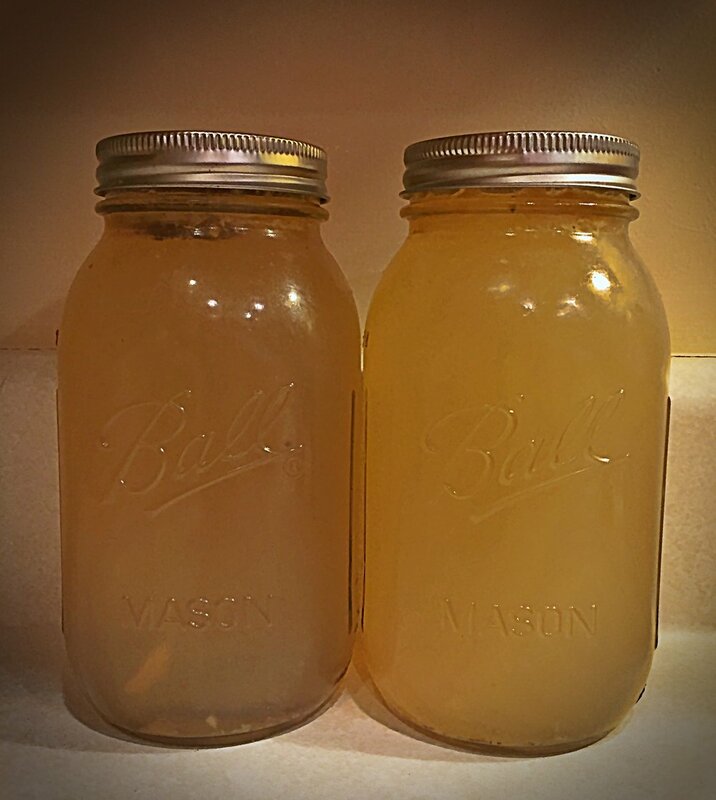 I'm going to share a great (and SUPER easy) way to re-use that carcass to make delicious and immune supporting bone broth! Bone broth is a great natural source of collagen and it's rich in minerals, plus it's a tasty warm treat on a chilly fall day. Make this recipe before the cold season really hits! I like to keep my bone broth recipe really simple but I will give you a few ways to doctor it up if you so choose. Put all turkey bones in your slow cooker. I use my Instant Pot because I'm obsessed but if you don't have one, a slow cooker works just fine. Pour in filtered water. You can really eye-ball it here. I generally just pour in enough to fully cover the bones and add about an extra cup or so for good measure. It really depends on how many bones you've got. More bones=more water. Add in black pepper, bay leaves, chopped onion and garlic (if you'd like) and cover. Slow cook bones for 24-48 hours. Serve in a mug, top with a bit of Himalayan Pink Salt, stir, and enjoy! Store in large mason jars, or other glass containers with a lid, and store in the fridge. I hope you all have a Happy Thanksgiving! I'm thankful for you.